Marc Jacobs has always used beautiful shapes and materials to give prescription glasses a high fashion spin. This frame is no exception. 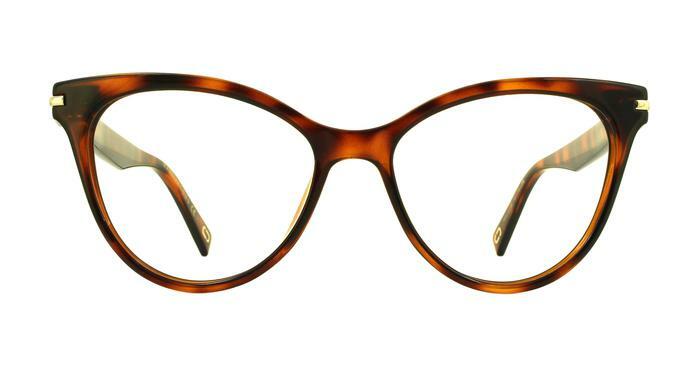 The delicate cat eye shape flows seamlessly with tortoiseshell colours for an inspiring look. Metal detailing sits at the temple to complete the piece. Exactly what I was looking for. Great fit, shape, value for money and the delivery was so quick.